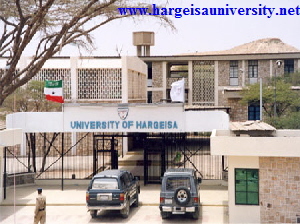 “Established in 2002, the Faculty of Law is one of the oldest professional faculties at the University of Hargeisa, with a long and illustrious history. Today, it is one of the Africa’s great law schools, a dynamic academic and social community with 40 full-time faculty members. The Faculty’s rich academic programs are supplemented by its many legal clinics and public interest programs, and its close links to the Faculty’s more than 100 alumni, who enjoy rewarding careers in every sector of Somaliland society and remain involved in many aspects of life at the law faculty. The important challenges of the inception of legal education in Somaliland included such concerns as to who should be taught law, at what level should law be taught, who should teach law and what laws should be taught. During this short period the historical record shows that first enrolled students of the Faculty of Law came primarily from persons already occupying positions which require some knowledge of law, such as judges, advocates, police officers, public servants and bank workers, social workers, as well as secondary school leaving students. To provide free legal aid to the poor people who can not afford to pay fee for legal professionals (lawyers) as there is a great need for justice, morality, law and equal protection; under the law. To provide theoretical and practical understanding to the third year students of the faculty of law to enable students to upgrade their legal backgrounds including critical thinking, reasoning, case briefing , case analysis, arbitration, mediation and research writing. Setting up of the Law Clinic 2004 - Relevant Extracts of a 2004 UNDP Report. Legal Clinic Spreads 2008 - UNDP Article - 10/09/2008.